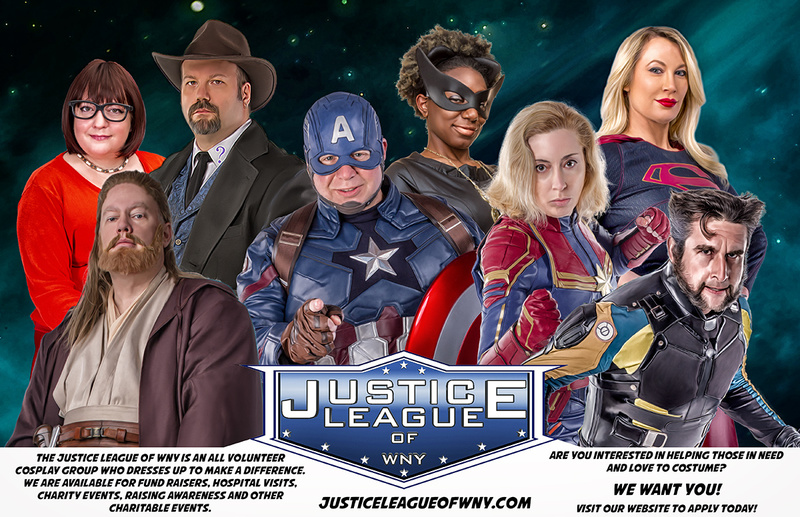 The JLWNY is an all volunteer group of costumers, cosplayers and prop builders. We dress in the costumes of characters from movies, comics and other fandoms with the goal of bringing smiles to children as well as those in need. We make public appearances supporting local charities, charitable causes and fundraisers, while spreading love and smiles. We are a small group, and looking to add a few more people to it so that we can help more. Do you enjoy cosplay? Can you stay in character while in public? Can you pass a criminal back ground check? Can you commit to doing events on weekends and occasional days during the week? We are looking for team players, who are reliable, can communicate and work well with others, and can handle constructive criticism on improving their costumes and performance. If this is you, we would like to talk to you. If you were referred by an JLWNY member, please let us know who. Are you looking to join as a cosplayer, team support or both? Please provide 1 FULL BODY pictures of you wearing your completed costume. (Please provide an additional picture with your Helmet or Mask off if applicable) This is so that we can have an idea on the quality of your costume, but does not count for approval. I have Read and Understand the Official Justice League of WNY "Code of Conduct"
I agree to retain in confidence any and all confidential information known to the Member concerning the Justice League of WNY and its business so long as such information is not otherwise publicly disclosed. The Member shall retain in confidence any and all confidential information known to the Member concerning the Justice League of WNY and its business so long as such information is not otherwise publicly disclosed. By checking this box I understand and agree to complete the JLWNY Training Program. I also understand that in order to graduate from the program, I must participate in 3 events within a 6 Month Period (2 of which must be charity focused). Should I not be able to complete the JLWNY Training Program, I understand that I will be asked to reapply once I have the availability. Our training program is something all new applicants must go through. The purpose of the program is help you learn the rules and procedures, understand event etiquette, and get to know the rest of the team. During the program we will assign you a trainer. They will be there to assist you in whatever way possible, and answer any questions you may have.